What is Talent Development, or MyTalent? 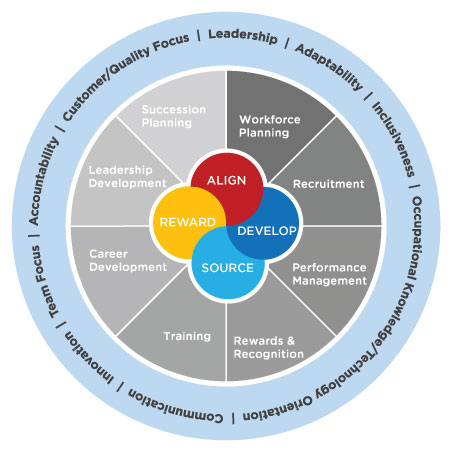 Talent Development, or MyTalent, is a set of integrated organizational HR processes designed to attract, develop, motivate, and retain productive, engaged employees. The goal of talent development is to create a high-performance, sustainable organization that meets its strategic and operational goals and objectives. The Human Resource Management department has created a framework to help members of the KU community understand the relationships between various HR processes supported by our office. KU’s MyTalent system has a new look as of September 21, 2018. The vendor update of our cloud-based talent development system includes a more modern look and easier navigation. The new home dashboard provides quick access to information simply by clicking on tiles under Performance and Learning categories. The dashboard also features a To Do section, just as today, although with more information available at a glance. And, there is a News tile that links to important HR-related news and updates. Supervisors also have access to their team information right from the home dashboard. The vendor has worked to streamline the system and make it simple and easy to use. In addition to the visual changes, the separate Public Profile and Employee Profile in the previous system have been consolidated. With the update, employees have only one profile. You and your supervisor can see your detailed employee information, while other employees can only see basic information such as your name, department and job title. You can add relevant information to your Employee Profile yourself, including education and work experience, professional memberships, volunteer service, and more. An optional video tutorial on the home dashboard (mytalent.ku.edu) will provide a brief tour of the updated system and new features. Step-by-step instructions also will be available on the home dashboard for help in navigating the new system. a searchable electronic course catalog, organized by Subject Area and alphabetically. a personalized learning plan, showing courses that are recommended or selected for your role. Many of the courses are offered as a benefit to employees of the university. This means that full- or part-time employees of the university may attend these courses at no charge. Those courses that include a materials or participation fee, this information is included in the catalog.